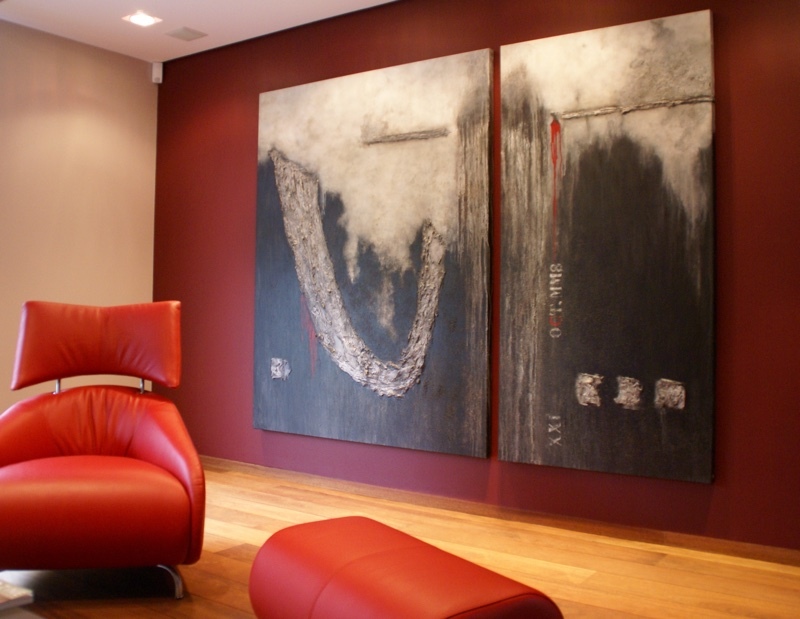 Art gives an added value to your interior. Because each residential living space is different, it is not always easy to find a suitable painting. That is why we came up with the concept [art to size]. The techniques and materials can be very different, just like the size. You choose the size, colours and style on the basis of several examples. Subdued colours with subtle nuances or an explosion of colour, asingle work or a triptych… It is entirely up to you. I like to give personal and expert advice, within your budget and to your size. Moreover, there is also the possibility to lease a painting.